If you asked the average person you meet, they’d probably say that a government law requiring car drivers and passengers to wear seat belts is not only a positive thing, but absolutely necessary. Thanks to years of being told that being in a car without a seat belt can cause deadly car accidents, most of us don’t think twice about strapping in. Seat belt laws are not debated or criticized—they’re seen as preventative measures that save the lives of our family, our friends, and ourselves. On the other side of the spectrum, many people would be upset, or even offended, at the thought of a law mandating us to install a house alarm. While it may ward off crime and may prevent robberies and even deaths, it’s not seen as something the government should mandate. On some level, we understand that there’s a line between what measures are necessary for our survival and longevity—like seat belts and smoking bans in public places—and what measures we should be free to choose ourselves—like purchasing house alarms or eating highly allergenic foods like peanuts in public places. The problem occurs in the gray scenarios, when the line suddenly becomes blurry. And the soda ban to limit the size of a soda drink currently being debated in New York, which New York Mayor Michael Bloomberg said yesterday he would appeal yet again, is one of those gray scenarios. The real question becomes: when does prevention go too far and overstep its boundaries, stealing consumers’ freedom and choice? Had you asked me 50 years ago, the decision would be obvious: of course, the government cannot tell us what we can and cannot drink or eat—that limits our freedoms and basic rights. But that opinion is no longer valid, because our basic rights are now infringing on the health and safety of our friends, family, city, and country. The problem is that there is no clear answer, because of the fact that obesity is one of the world’s largest epidemics ever. Americans—and many other people around the world—are more likely than ever to develop debilitating diabetes, preventable forms of cancer, reversible forms of bowel disorders, and unheard-of allergies. While nature plays a role in any disease, nurturing is taking a bigger role than ever. And it’s now that we’ve arrived at a critical junction: is it time to admit that our eating habits have created these diseases and have infringed on both our health and our economy? The numbers don’t lie: five years ago, the medical cost of obesity—doctors’ visits, diagnostic treatments, surgeries, and more—cost the U.S. health care system $147.0 billion. This number is only increasing. And worldwide obesity is growing at unprecedented rates; it’s become the fifth leading risk for death around the world. Consider this: in the U.S., there are 33,000 deaths from car accidents every year. Obesity, on the other hand, is responsible for 300,000 deaths a year. Yet we legalize seat belts but we don’t have any national, long-term plan to reduce the number of deaths from obesity—just half-hearted measures designed to fix a tiny aspect of the problem. Consumer groups, who believe that a soda ban is a slippery slope which will end up with the government controlling everything we eat, raise a valid point: a soda ban is not the answer. Neither is a fat tax, or even a mandate that every American adult must go to the gym for half an hour a day (although we haven’t reached that discussion yet). These ideas are a start, but they’re not going to solve the underlying problem: that access to unhealthy food is everywhere, and unless we plan on banning all restaurants, supermarkets, and food producers, then consumers will just get their sugary drinks and fast food somewhere else. And that’s not even taking into account the drastic toll this would take on the economy. The problem, in my opinion, is that the obesity epidemic is really of our own making, and it’s not just because we love cheap drinks and fast meals; it’s because we have been privileged to grow up in a world of fast, cheap fixes. Food is not the only area that’s taken a toll: we want news faster than ever, we want an instant response to a text message, and we refresh web sites and Facebook pages constantly with no sense that instant gratification is not actually pleasurable. 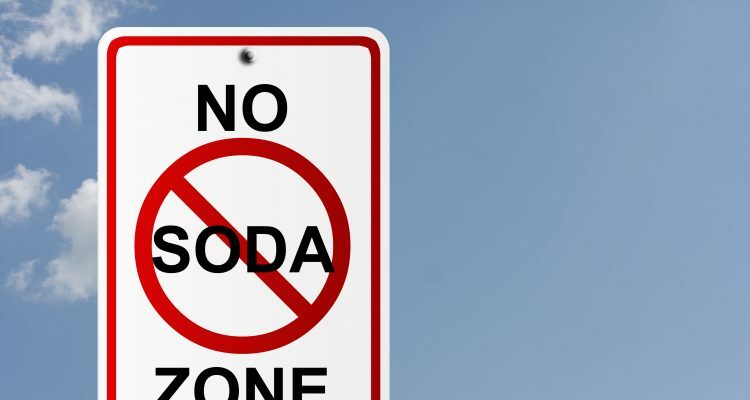 The idea to create a soda ban is an attempt by our government, for whatever the underlying reasons are—be it health, the economy, or something else—to curb this gratification epidemic. But what they haven’t realized is that one soda ban won’t solve the problem. The only way to truly solve this problem is to understand that our actions have come to such a drastic point that they are directly hurting and killing others. We must believe that when I eat fast food for breakfast, lunch, and dinner, I’m directly stealing from my health care system and my country. When I eat chips every afternoon, it’s as if I’m smoking a cigarette or spending ten hours sun tanning without sunscreen. And then others pay for it when I spend thousands at hospitals and doctors’ offices. If we continue this way, we pass on these deadly habits to our children and their children, creating, I believe, a cycle of detrimental health. One problem is that we believe we can do whatever we want and fix it later. Another problem is that we believe that none of our actions are connected or linked; if my neighbor is fat, it doesn’t mean I will be and just because he never exercises, it doesn’t mean I won’t. Sure, that’s technically true, but, like many other habits, they spread quickly. As a lack of physical activity and the fast food norm becomes ingrained in our culture, they affect all of us. And every year, the numbers rise: the number of people who die from cancer, heart disease, diabetes and more. And all those deaths can be prevented. I don’t blame the government for trying to get a handle on the situation. I just blame them for only seeing the small picture.